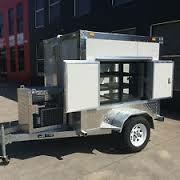 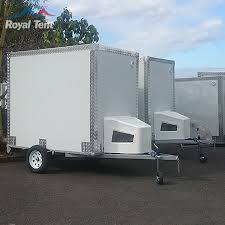 We also customize mobile cold rooms & freezer rooms according to clients specifications, the inside and outside can be layed out with aluminum plate or shelving and rails, whatever your needs are to customize your mobile cold room or freezer room, we will do whatever it takes to accommodate. 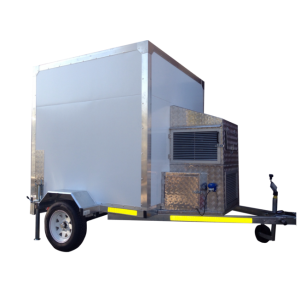 All the mobile cold rooms are roadworthy, they are all fitted with stabilizer stands in the front and the rear, the units larger than 2500Kg are all fitted with automatic brake systems that operates while driving, and handbrakes. 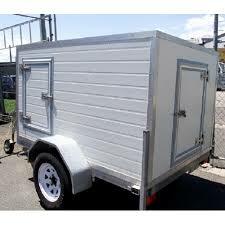 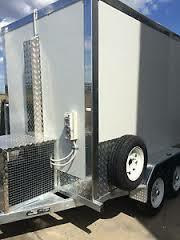 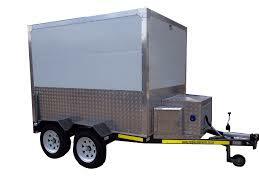 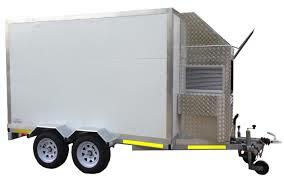 However, we are able to fit brake systems to any size trailer should it be requested. 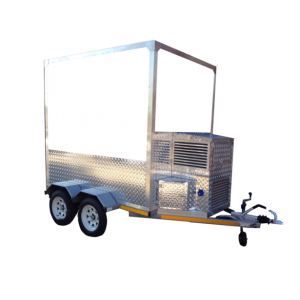 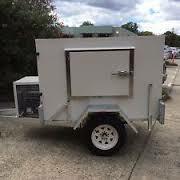 The mobile cold rooms are designed for transit and stationary use, they are all 220V plug and play units, and can also be powered from a 5KW generator. 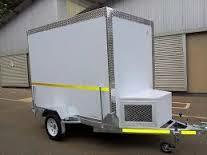 We specialize in customizing existing trailers & manufacturing of brand new custom trailers, if you have a need for anything other than the mobile cold rooms, or any other type of trailer of up to 3000KG loading capacity, kindly give us a call for quotes or info.